This piece started life as an investigation into a rail line connecting the North London and Lea Valley Lines at Stratford, but it ended up as more of an index to what is happening to trains around Stratford and up the Lea Valley. If you travel on the North London Line from Hackney Wick station to Stratford station, you’ll see a rail line going off to the North side of the line under the Olympic Village. If you travel up the Lea Valley Line, you’ll see the other end of the line. This is the High Meads Loop and it is generally used to move freight trains. You can see it on this Google Earth image, as it curls round the western side of Stratford International station, starting from the triangular junction to the east of Hackney Wick station and the River Lea and eventually joining the Lea Valley Line between Stratford and the under-construction Lea Bridge station. I walked around the area today starting from Stratford International DLR station and much of it is hidden under concrete in East Village. What has always surprised me, is that this line doesn’t appear to have provision for a station, especially as it could connect to so many important places in the area. But then it does seem to me that the design of the rail system in the area of the Olympic Park and Village didn’t put getting an efficient railway first. These questions must be answered. 1. Why was a fully-functional International station, built at Stratford International and has then never been used to run services to the Continent through the Channel Tunnel? This is answered partially in this section in Wikipedia about International services at the station. If Kent gets two stations at Ebbsfleet and Ashford International, then surely East London and Essex deserves one too! 2. Why too, is the link between the two Stratford stations, so much of an afterthought? Today, when I came back from my walk, there was the inevitable lost soul, who’d taken a train to Stratford International and needed to get a train to Romford. And his Narional Rail ticket wasn’t valid for the one-stop hop on the Docklands Light Railway. But this is East London and the Train Captain told him to ride Don’t get me wrong, I like the DLR, but surely for the Olympics we could have put a more spectacular or at least a better link between the two stations? 3. In some ways too, I often think that they used the high-speed service from St. Pancras to Stratford, just to give it something to do. For a start foreign day-trippers to the Olympics should have come straight into Stratford International on Eurostar. Why wasn’t this arranged? 4. I am pretty local to the Olympic Park and can get a train from Dalston Kingsland to Stratford. I went to the Olympic Park that way a couple of times, but to get home, the powers-that-be either sent you to Stratford International or West Ham. In one instance I walked to Clapton and got a bus home as everything was congested. The arrangements might have worked for getting to Central London, but they weren’t good for locals, who like me wanted to walk out of the Olympic Park and then probably get a bus home. One solution would have been to put more capacity on the North London Line, by extending the Class 378 trains to five cars, as is now being done. Why wasn’t this done on the North London Line in time for the Olympics? Especially, as the line has always been overcrowded compared to the East London Line. 5. Soon after the Olympics, I met a big cheese in the Docklands Light Railway on a train. He felt and I probably will agree with him, that the DLR overperformed in the Olympics and dear old Cinderella didn’t miss a beat. I suspect though that to many she has more than a touch of Minnie Mouse, but to East Londoners and knowledgeable visitors, she is the way to travel, where you get a grandstand view much of the time. 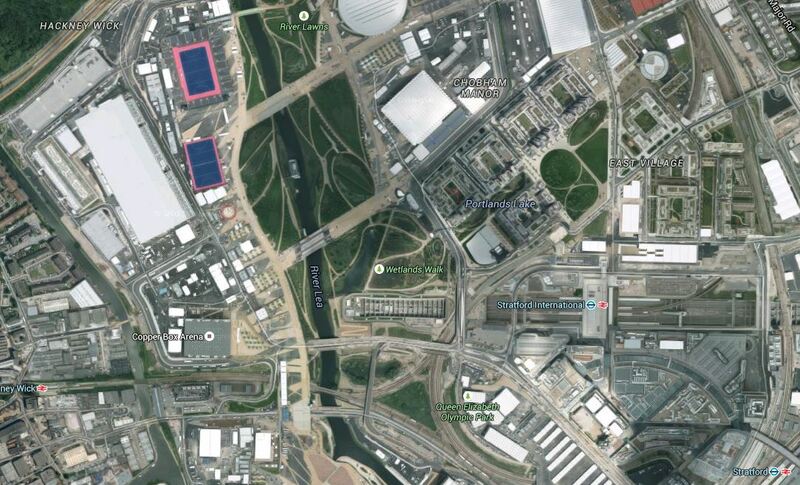 So why wasn’t more use made of the DLR for the Olympics by designing it into the heart of the Olympic Park? 6. We also had the farce of if you went to the Olympics from St. Pancras, you had to go through the Eastfield shopping centre to get into the Olympic Park. Why? Was the Olympics about sport or shopping? 7. Look at this Google Earth image of the Eastfield shopping centre. Notice how the DLR goes under the centre and emerges on the west side before curving round to get to the station at Stratford International. It has always puzzled me that no provision has been made for an extra station on this loop. It strikes me that the developers feel most shoppers will bring their cars or not buy anything heavy. I would use the centre more if it was easier to get home from say John Lewis with perhaps something weighing ten or twenty kilos. Why was this extension of the DLR designed to be never more than a timid link? If I look at some of the rail designs of the last few years, I get the impression, that they are less timid and not designed to be easiest to construct. The London Overground in particular has been innovative in some of its infrastructure to design affordable and efficient railways. Look at the Clapham Kiss as just one example. In any developments to improve Stratford, there is also a thundering herd of elephants in the room, which will probably have more effect on what happens than any politician. What is planned now is only Phase 1 of Crossrail and future developments will give Crossrail a bigger share of London’s passengers and even more influence. 1. Crossrail has been designed to take slightly longer trains and with its massively long platforms, the capacity of the system is quite a bit bigger than what we’ll see when the line opens. 2. Crossrail can also take more trains through the core, so we’ll definitely see extra branches on the line. Ebbsfleet on HS1 is safeguarded and Tring on the West Coast Main Line is being seriously studied. 3. Crossrail lacks an easy and hopefully cross-platform interchange to high speed services to Europe and in the future to the North. An easy interchange to HS1 at St. Pancras and Stratford is impossible, but one at Ebbsfleet could be incorporated with the extension of Crossrail to the station. So what do I think should be done to sort out the sins of the pre-Olympic rail system development in the Stratford area? 1. 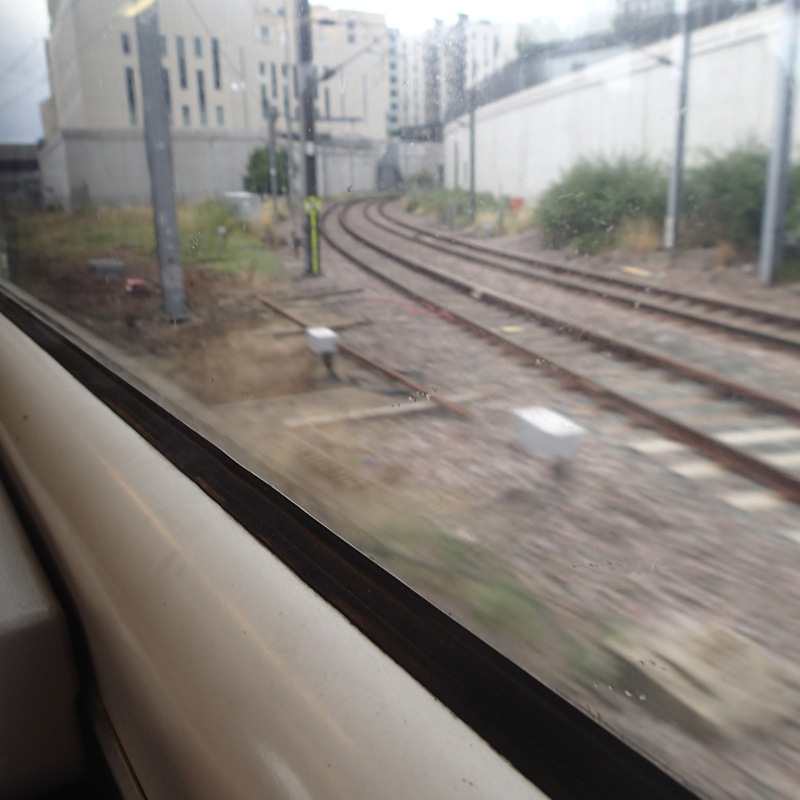 A Better Connection Between The Two Stratford Stations And To The Eastfield Shopping Centre. 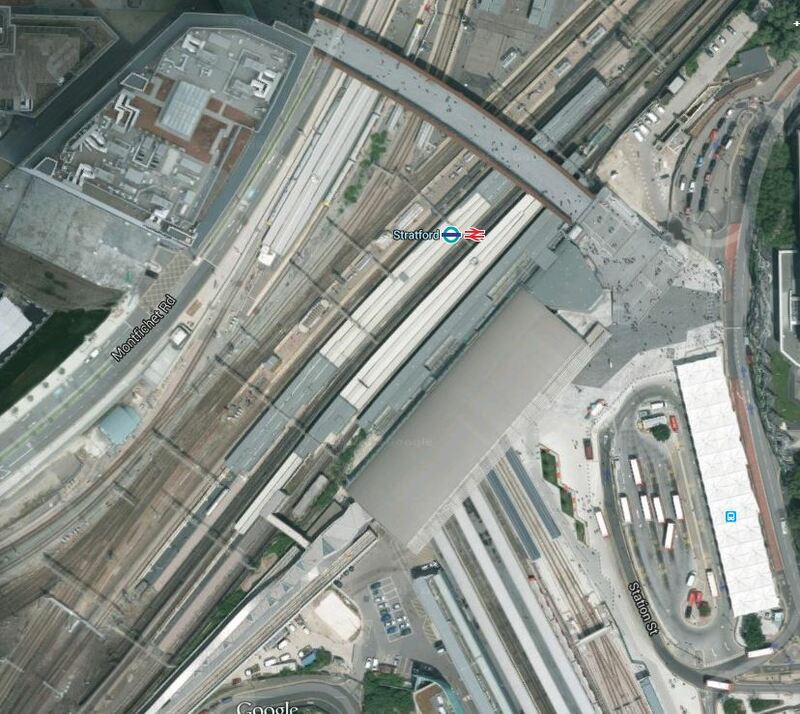 Look at this Google Earth image of Stratford station. The DLR branch between Stratford International and the core system passes underneath the rail lines, including Crossrail and the Overground , and the Central Line, at right angles. The passenger connection between the DLR and the lines passing through above is not easy, although it is step-free. If you take the wrong tunnel from the rail lines, you end up on the wrong DLR platform. As the two subways are one each side of the DLR lines, couldn’t something better be done to make this interchange easier? For a start how about a sign saying take these stairs from the through platform to get your DLR service to Stratford International? 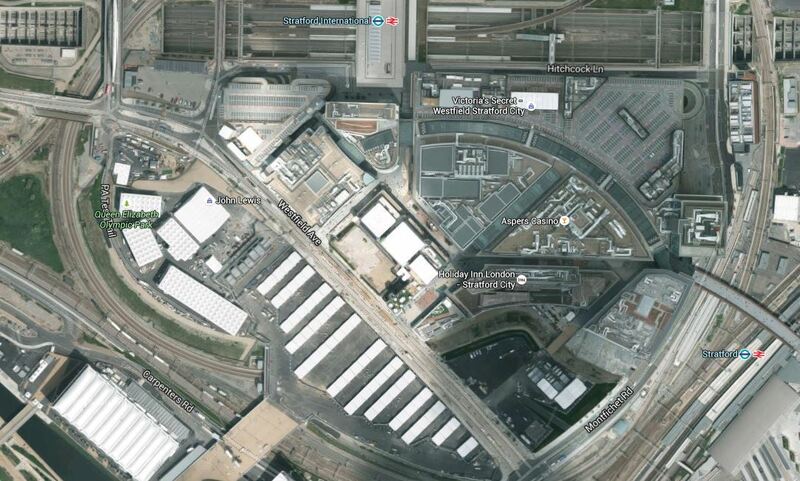 I also think that there should have been a station on the DLR line underneath Eastfield. It would be interesting to know what the shopping centre thinks. 2. Will We Ever See International Services From The Station That Has The Word In Its Name? If Crossrail extends to Ebbsfleet, this will take a big chunk out of High Speed passengers to Stratford and St. Pancras. If say you lived in East Kent and worked in the City or the West End of London, why would you not take a convenient service, High Speed or otherwise, to Ebbsfleet and then change to Crossrail for where you actually needed to go? Stratford International also lacks an easy link to all of the other services at Stratford and especially to Crossrail, even if the DLR link is improved. But any cross-platform link is impossible! So Stratford International, which I find an unwelcoming place, could become a massive white elephant, that had its brief moment of fame at the Olympics. Read the various Internet forums and web pages and some of the biggest complaints are about the poor transport links to and from places in North East London and the Lea Valley, like Walthamstow, Leyton and Tottenham. The transfer of the Lea Valley Lines to an operator who cares about passengers in London and the uprating of the Victoria Line later this year, can’t be anything but positive. But more could be done! 4. A Shoreditch High Street Station On The Central Line? This was mooted a few years ago and a document called DLR Horizon 2020 talked about extending the system from Stratford International up alongside the Lea Valley Lines to Tottenham Hale station. This article on London Reconnections describes the proposal like this. Extend the DLR from Stratford International to Tottenham Hale via the Lea Valley. 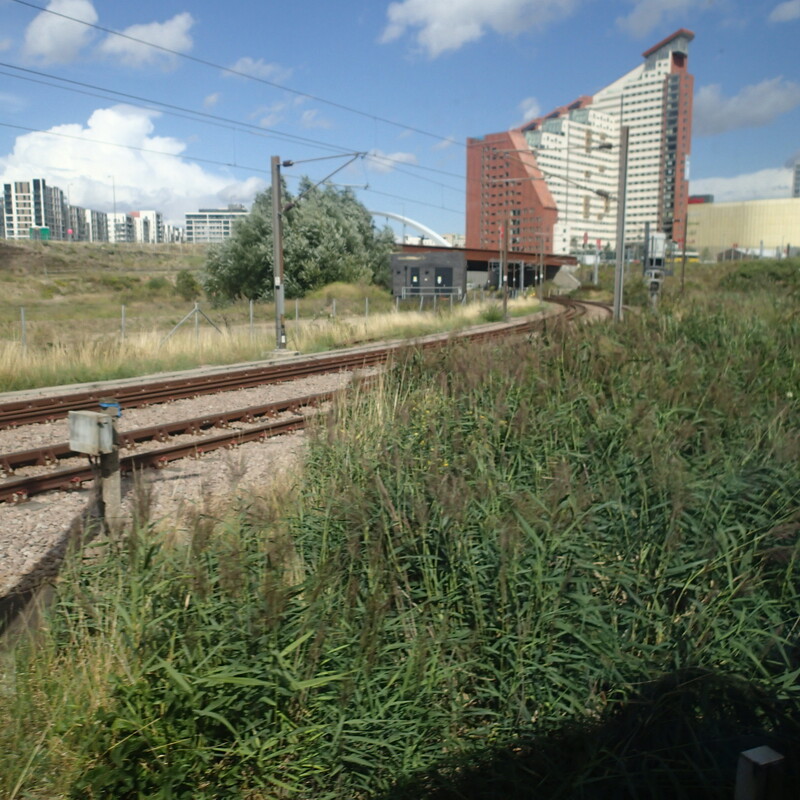 The route would run alongside the current Lea Valley rail lines where possible and the line would serve the Olympic site and feature additional stops at Lea Bridge and Walthamstow Marshes. It may be a worthy idea, but does it really make economic sense, when according to what you believe a lot of things may be happening in the area. A new Lea Bridge station and a new Hall Farm Curve are being created. A rebuilt Hackney Wick station is being planned. Crossrail 2 is being promoted and could serve the area. Transport for London will be taking their first bite out of the Lea Valley Lines in the very near future. There could be a a major upgrade in the Tottenham Hale area, which is described in this document on the Haringey Council web site. According to this Future section in Wikipedia for the Tottenham Hale station, funding is being sought to add extra tracks to the Lea Valley Line so that four trains per hour can be run on the line. When the heavy rail expansion is sorted and the area between Tottenham and Walthamstow is developed as housing and a very large wetland and leisure area, the case for a Lea Valley Light Railway may be stronger. Trains can use the High Meads Loop to pass across the northern side of Stratford Intergenerational station. This Google Earth image of the station, shows the lines passing round the North-Western corner. Note also the Docklands Light Railway station on the northern side of the deep station box, virtually above the DLR logo. I think with a will a station could be built on the High Meads Loop just to the north of the DLR station, which would allow trains to travel between the North London Line and the Lea Valley Line calling at a station close to the International station and possibly a station in the East Village. But as with extending the DLR from Stratford International would it all be worthwhile? Unless of course some developer wants to do a mega-development and pays for the trains and the infrastructure. I think we should leave well enough alone and accept that Stratford International station is probably a shining white elephant. In the meantime, we should make it easier to transfer between one station too many at Stratford. The High Meads Loop is probably best left to sort out the freight that has to travel through the area until someone does the right thing and builds a proper freight line that avoids the North London and the Gospel Oak to Barking Lines.